Located about 3 kilometers north of Zhangye City, Zhangye National Wetland Park is one of the largest urban wetland parks in Northwest China. The park features crystal clear lakes, large areas of reeds, lush trees, lawns and gardens. You will find migratory birds in spring, lotus flowers in summer, golden reeds in autumn and beautiful snow in winter. At Zhangye National Wetland Park, you will find lots of wetland reed marshes which are lush in spring and summer. In autumn, you will be amazed at the golden views of the reeds, which makes ideal materials for photographing. There are many clear rivers winding through the park. Several green lakes are located in the center of the river. In addition to the reeds, there are many trees in the garden. In spring and summer, there will be many types of migratory birds in the park such as swan and wild ducks. The two seasons are ideal for bird watching. At the same time, you can appreciate the colorful flowers. There are various kinds of wild flowers and Russian olive flower in spring and lotus flowers in summer in the park. If interested, you can relax yourself in the recreation area. You can enjoy fishing, cycling, boating, and drifting in summer in the park. If you would like to know some about the wetland park, it is suggested that you visit the museum of the urban wetland in the park. You can admire the panoramic views of the park at the viewpoint near the museum. If you are planning to visit Zhangye National Wetland Park for photography purposes, the best time to visit is during the sunset. There are a few options passing by the park. Therefore, there are only a few options. Rent a vehicle to the park from Zhangye. This is the quickest and most direct option. Take Bus 4 to the Stop of Harvester Factory (收割机厂站). Then, walk northward for 1 kilometer. Take Bus 8 to the Wetland of the Yellow Water (黄水湿地). Take Bus 19 to the Stop of Xinhe Bridge (新河桥湿地站). Admission fee for the park: free. Please take care of yourself when walking on the plank road through the park. Interested in visiting the Zhangye National Wetland Park on a Tour? 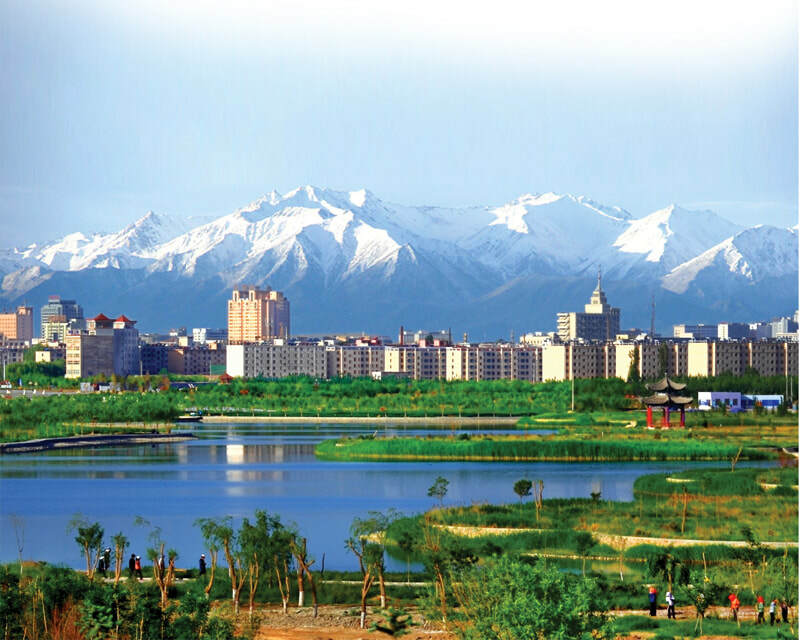 Wendy Wei Tours offers a variety of different packaged tours as well as custom tours including the Zhangye National Wetland Park, among other attractions and destinations. To find out more, please visit our Tours page or Contact Us directly to find out more.